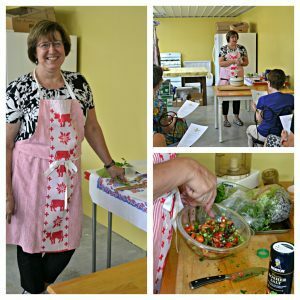 As promised, here is part 2 of our cooking class, along with a few photos! In the photo to the left, Julie is hard at work demonstrating our fantastic salads. If you missed the Tomato, Watermelon and Feta Cheese Salad we shared on Tuesday, be sure to check it out here. This next salad is a delicious Mexican Quinoa Salad with an Avocado Dressing. It is from fellow blogger Cassie over at Bake Your Day. See her recipe and gorgeous photo here. We really appreciate her letting us share it with you as well. Please go visit her and give her some thanks! She is from Kansas City, a fellow friend from the heartland. Check out her Facebook page. 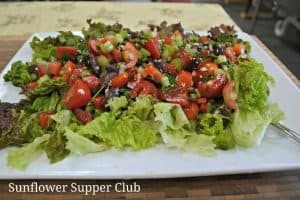 This is a wonderful salad to make at the beginning of the week. Store it in the fridge, separate from the dressing. Take out the amount you want and dress with the dressing. It keeps really well that way. Go look at Cassie’s photo…it is much better. We didn’t get one when it was plated up! Combine the quinoa and broth in a saucepan and bring to a boil. Reduce the heat, cover and simmer for 15 to 20 minutes until the liquid is absorbed and the germ of the quinoa is exposed. Remove from the heat. 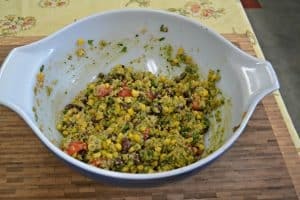 While cooking the quinoa, combine the beans, corn, tomatoes, green onions, cilantro, cumin and paprika in a large bowl. Prepare the dressing by combining all of the dressing ingredients, except the olive oil, in a food processor. Pulse to combine and then scrape the sides of the bowl. Turn the processor on and slowly stream the oil through the top and continue to process until the dressing is combined. Add the quinoa to the black bean mixture and toss to combine. Pour the dressing over the mixture and toss gently. 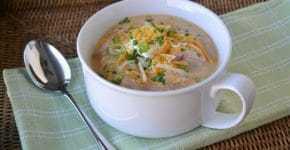 This can be served warm, room temperature or cold. When serving, top with additional tomato slices and cilantro. Combine all ingredients, except for the lettuce leaves, in a large bowl. Cover and marinate at least 30 minutes in the refrigerator. 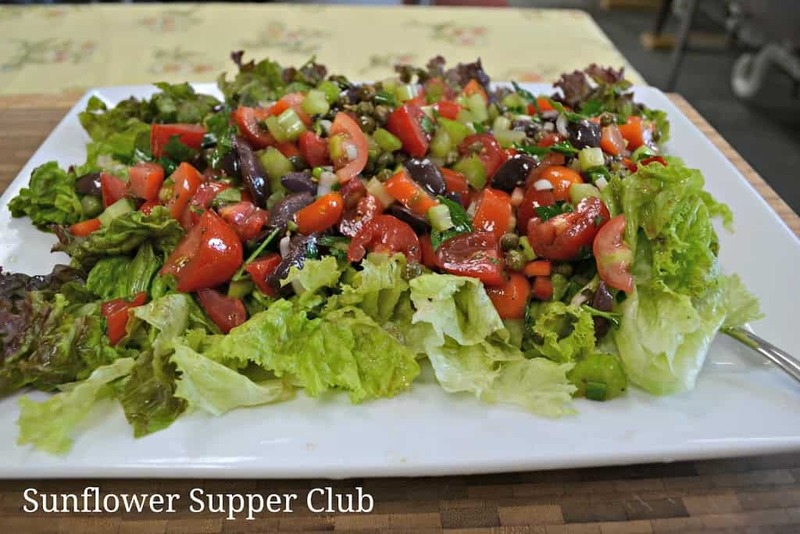 To serve, line a serving plate with the lettuce leaves and top with salad. The topping can also have eggplant or squash added to it and be used as a cold pasta sauce or spread on grilled veggies.